Here’s a great recipe to make with kids! 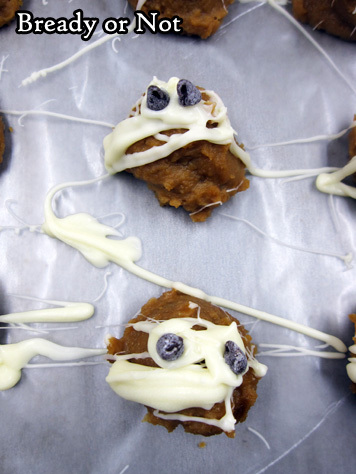 These No-Bake Mummy Biscoff Buckeyes are quick, cute, and secretly healthy. 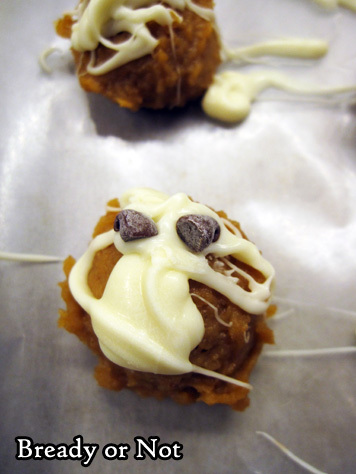 Buckeye treats typically include peanut butter and brown chocolate. I switched in Biscoff (aka cookie butter, available by the peanut butter in most American grocery stores these days) but you can use peanut butter instead. What makes these secretly healthy, you ask, since I made them unhealthier with cookie butter? Well, the base ingredient of this recipe is… CHICKPEAS. Also known as garbanzo beans. You cannot tell there are beans in this. All you taste is Biscoff and chocolate. They keep in the fridge for up to a week, too; they get a little sweaty, that’s it. Modified from Cooking Light October 2017. These one-bite treats secretly contain chickpeas, but all you taste is cookie butter and chocolate. You can substitute peanut butter for the Biscoff. 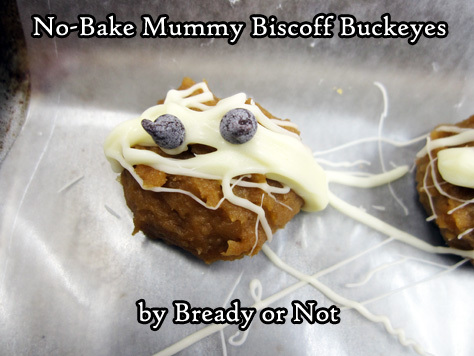 Recipe makes about 24 mummies using a teaspoon scoop. Pulse chickpeas in a food processor until smooth. Add cookie butter, honey, vanilla, and salt, and pulse more. Use a teaspoon scoop to measure out the dough; place on a wax paper-lined baking sheet that will fit in the fridge. Use hands to smooth out each ball. Chill until firm, at least 30 minutes. Carefully melt white chocolate in the microwave at 20% power in 15 second bursts, stirring well between each pass, until it's smooth. Dip fork prongs in the chocolate and drizzle back and forth over the buckeyes to create a mummy bandage effect. 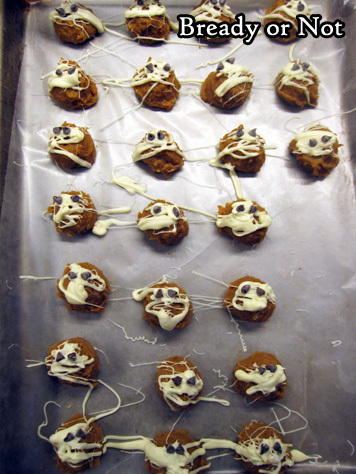 Immediately place two mini chocolate chips for eyes on each mummy head. 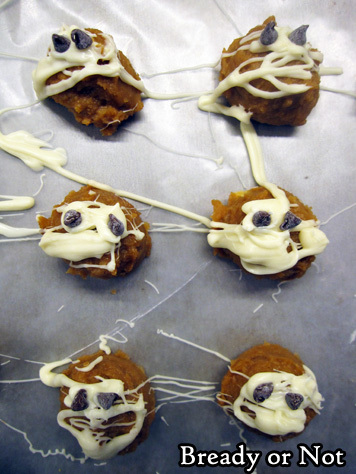 If need be, melt white chocolate again to use some dots of it as glue for the eyes. Store in the fridge for up to a week, but expect them to sweat and get moister.